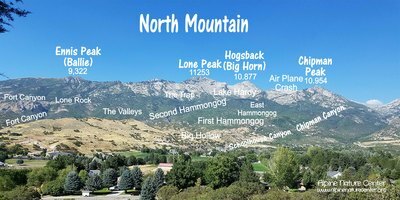 Everyone knows Lone Peak, framed by the distinctive North Mountain notch, but do you know the names of other peaks, canyons and landmarks around your city? 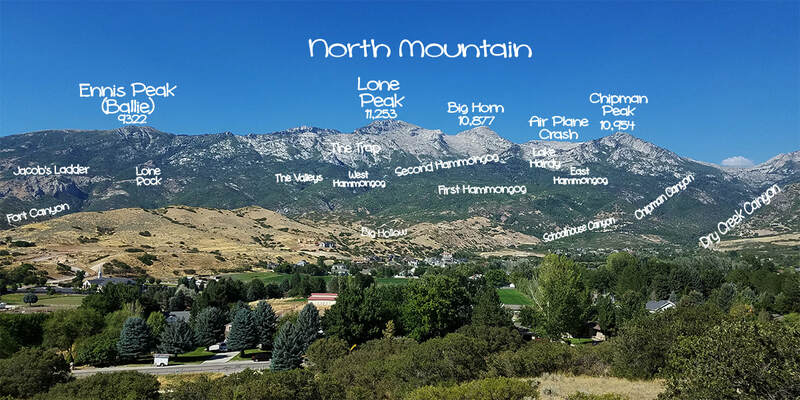 Here is a helpful guide to help you learn more about the mountains around us! 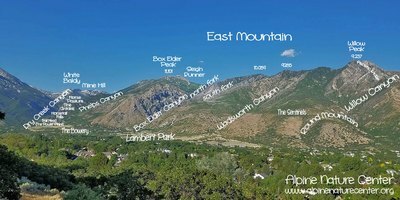 The east and north pictures were taken from Cemetery Hill in Alpine. Note the newly christened "The Sentinels" to the right of Wadsworth Canyon! 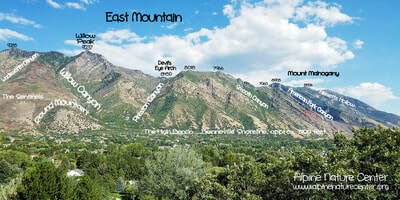 The west and south pictures were taken from The Sentinels on East Mountain. 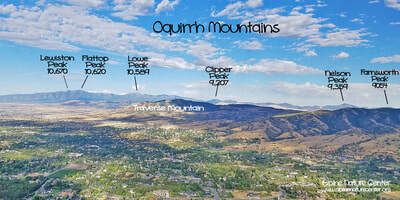 From this view on East Mountain shows the peaks in the Oquirrh Mountains. The Kennecott Copper mine is visible below Clipper Peak. Farnsworth Peak in the north is the location of many of the television and radio station transmitters. 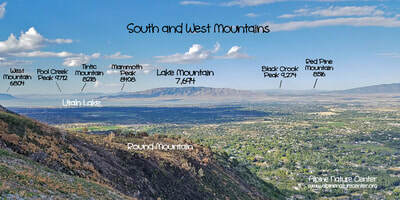 Looking southwest from The Sentinels on East mountain, Lake Mountain lies opposite of Utah Lake, and West Mountain can barely be seen over the top of Round Mountain. 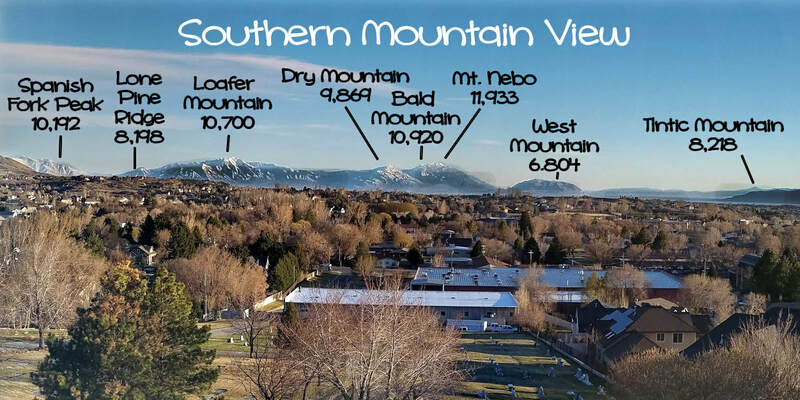 Alpine is surrounded by mountains on all four sides! The mountains to the south are a little further away, but can be easily seen from several points in town. This is the view from the top of the cemetery. 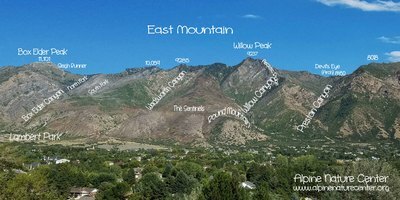 If you would like to print out copies of the pictures above with their mountain identirications, click on the corresponding link to download the high resolution files to your own computer. Feel free to print them out and give copies to your friends!